We Are In a Book by Mo Willems - This is the only Elephant and Piggie book not in my personal collection. This will soon be rectified. It's not that I didn't think it was worthy of inclusion in the collection or anything, I just ... well ... ah, heck. I forgot. By the way, how long should an author dominate an award (see here and here) before his name is added to the award? That's 3 of 4 years! The Mo Geisel Award? The Geisel Mo-mento? Ling and Ting: Not Exactly the Same by Grace Lin - A Newbery Honor in 2010 and a Geisel Honor in 2011 for Grace Lin. If Ling and Ting is as good as Where the Mountain Meets the Moon, then this award is well deserved. 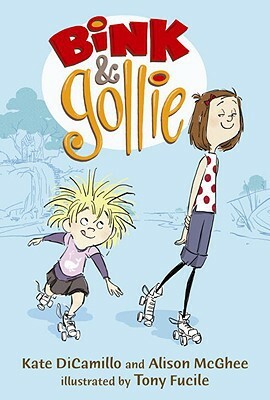 Bink and Gollie by Kate DiCamillo and Allison McGee - Can't wait to announce this one to the second and third graders who heard Bink and Gollie read aloud earlier this year. They loved it and will be thrilled to know that the grown-ups loved it too. Snow! Let's Go Outside to Play!